CeBit - BITS 2014 - Yusata Infotech Pvt. 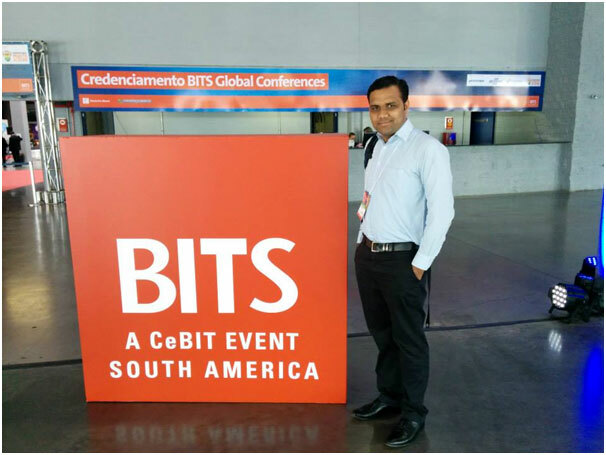 Ltd.
CeBit-BITS 2014 - A Cebit Event South America was held in Porto Alegre, Brazil on May 13-15, 2014.CeBIT is the world's best known, most successful trade show brand. CeBIT events are no longer based solely in Hannover but have found their way to Turkey, Australia and Brazil. This means global exhibitors can benefit from new trade fair platforms and the added demand this brings. BITS – Business IT South America – is a trade show organized based on international standards and developed in conjunction with the CeBIT platform, the largest ICT trade show in the world. In 2014, the 4th edition of BITS gathered companies and highly skilled professionals from different countries and segments, ready to expand their business base and broaden their technological knowledge. BITS' international platform presents, by including concurrent activities, a multitude of possibilities for participants. It is an exhibition for Information Technology, Telecommunications, Software and Services related to the South American market. We would like to thank our delegates for making their presence at our booth in CeBit - BITS 2014.